You write that you heard from some old women about some myth regarding the five wounds of Jesus, and you asked where this myth can be found? The five wounds of Jesus are not words, but awesome reality. Because of this, it is better to know them than words. Two wounds in the hands, two wounds in the feet, and one in the side. All from black iron, and much more so, from the utterly black sin of men. They pierced the hands which blessed. They pierced the feet that walked and led to the only true road. They pierced the chest, which poured forth fiery and heavenly love to the frozen chest of man. The Son of God allowed them to pierce His hands on behalf of the many sinful hands—a forest of hands—which murdered, stole, burned, seized, set traps, physically assaulted. And [He allowed them] to pierce His feet for the sins of many feet—a forest of feet—which walked in evil, plundered the innocent, trampled upon justice, soiled the holy and trampled upon goodness. And [He allowed them] to pierce the chest on behalf of many stony hearts—quarries of hearts—in which were born every malice and every impiety, and the sacrilegious thoughts and the bestial desires, and which, throughout all the ages, were forged by the fires of plotting brother against brother, neighbor against neighbor, and man against God. The hands of Jesus were pierced in order to heal every hand from sinful works. The feet of Jesus were pierced in order to return every foot from the sinful roads. The chest of Jesus was pierced in order to purge every heart of sinful desires and thoughts. When the abominable Cromwell, professor of England, began to seize the properties of monasteries and closed them, there was throughout the whole land of England a boisterous litany from a few thousand human souls to show the displeasure of the people. Before them were people bearing signs with the epigraph: “The five wounds of Jesus”, and chanted ecclesiastical hymns and were celebrating liturgies to God in the fields. The abominable professor was greatly afraid by these signs, and therefore lessened his violence. May you learn of the five wounds of Jesus, and keep your five senses on the living God. The five wounds of Jesus are five wounds of five-times clean blood, with which the human race was cleansed and the earth was sanctified. From these five wounds the whole blood of the Righteous One was shed, until the last drop. The Wonderworking Lord, Who knew to multiply bread, and to give five loaves to feed five thousand hungry men, multiplied His five-times pure blood, and with this He feeds and unites thousands of churches and millions of the faithful. This is the Divine Communion. 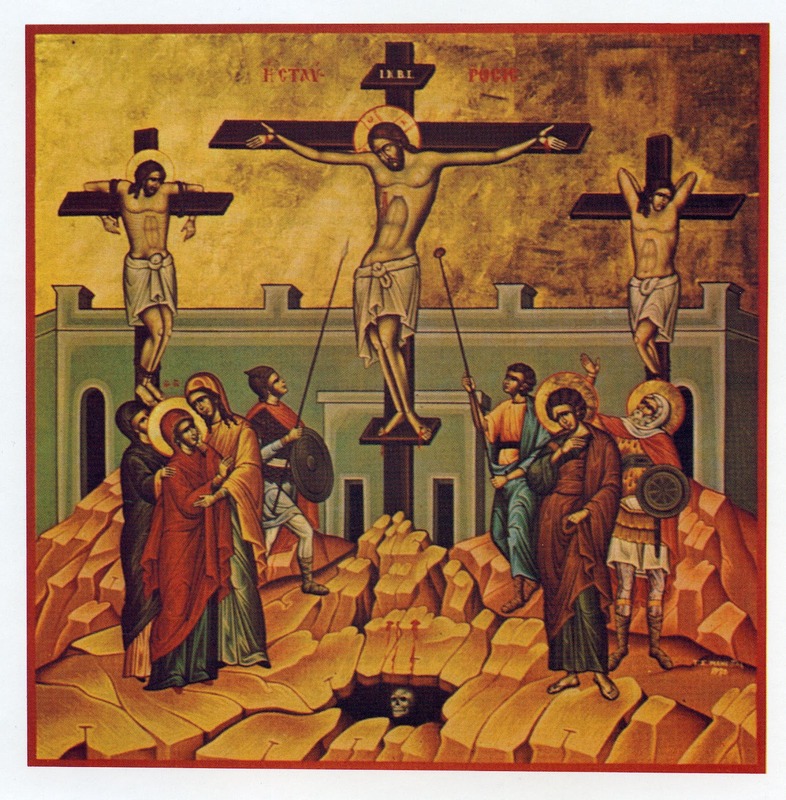 On Holy Friday, spiritually approach, together with the Panagia and Mother of God, below the Cross, in order to be washed by that life-giving blood from the five wounds of Jesus. 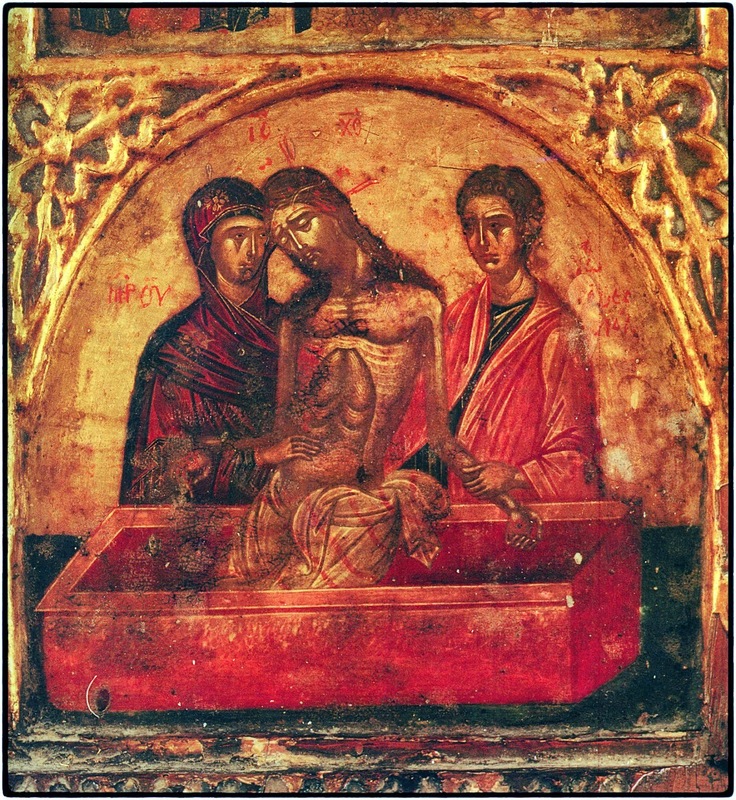 That you might, with a cleansed and regenerated soul, cry out on Sunday together with the Myrrhbearers: Christ is risen! Keep a firm hold of the blessed gladdening sorrow of holy compunction, and do not stop working at it until it raises you high above the things of this world, and presents you pure to Christ. Towards the end of August, Mr. Alkistis from Mykonos called the Holy Monastery of St. Raphael in Ano Souli, Marathon, and asked for directions and accommodations in the area, in order to partake of the Grace of St. Raphael at the Holy Feast of the Monastery on September 2nd. Speaking with some of the fathers by telephone, he asked them to light a candle to St. Raphael for the brother of his house-keeper (who would help with some of the work around the home), because he had suffered a stroke and ultimately had fallen into a coma. He learned that the doctors said that it was virtually impossible for the sick man to come back, and they told his relatives to prepare for his death. They mentioned furthermore that, even if he came back, something that was ultimately uncertain, he would not be able to move his hands or feet, nor to speak well or to express his thoughts due to the extensive brain damage. The result was that all of the sick man's relatives (who were muslims, along with the sick man) were very distraught, while Mr. Alkistis also shared in their pain. The same day, therefore, that Mr. Alkistis called the fathers to light a candle to St. Raphael, the sick man began to make some small movements. His relatives noted this. On September 2nd, while Mr. Alkistis was present at the Feast of Sts. Raphael, Nicholas and Irene [at this Monastery], the sick man moved his hand and his foot and began to show signs of life. And this was noted and made an impression on his family, for it coincided with the Feast of the Saints. 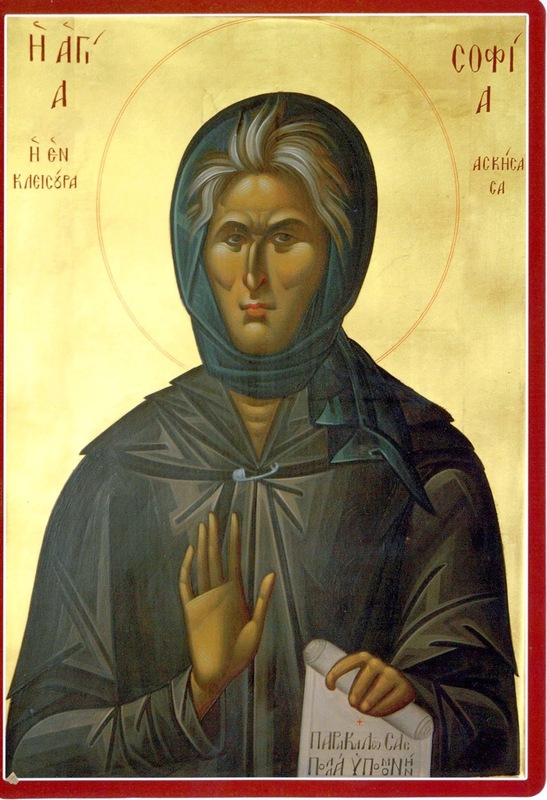 When Mr. Alkistis returned to the island, the sister of the sick man, though she was muslim, asked for the icon of St. Raphael from the Monastery and began to embrace it, crying, and entreating for her brother. After 15 minutes, she received a call from Bulgaria, where the brother and the rest of the relatives were, who told her that her brother began to move his head, he awoke, and asked them: “Have you been coming here to see me for many days?” And he fell back into a coma. No one could describe their joy and how much they were moved. They prayed to St. Raphael sobbing, and he told her that he believed in him, and that he was sure that he would make her brother well. Mr. Alkistis gave her some Holy Oil from St. Raphael and told her to send it to her brother, together with the icon of the Saints. She immediately agreed, and sent them to to her brother through her son, who “coincidentally” had just come to see her from Bulgaria (he had not visited her in four years). The lives of these people changed totally. From the time that the icon of St. Raphael passed into their home, these people became more active, more cheerful, and began to show more love towards each other, and they themselves admit this change, and believe that it is due to St. Raphael. Truly, great is the Grace of St. Raphael and those with him, and he offers many blessings of God to people who call upon him, whether faithful or faithlessness. May his name be glorified. May we have his blessing. And may people respond to the blessings of the Saints, and at their ends, partake of salvation and Paradise, through the Church and her Mysteries. Amen. "Behold: how the image of the Ever-Virgin Mother of God gleams! Yet, She is also human.... What exalted Her to such incomparable heights? 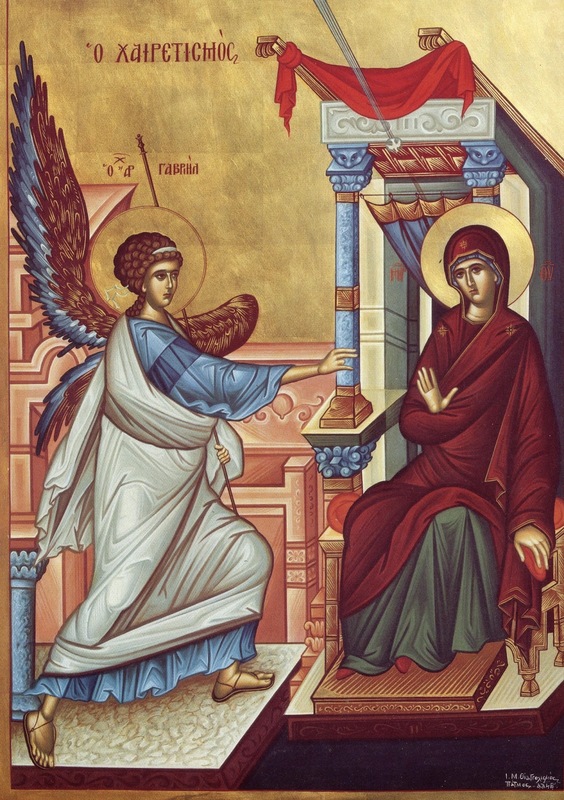 What made Her so glorious and so great -- loftier than the Cherubim and more glorious than the Seraphim? It was the three supreme virtues: humility, purity and a fiery love for God -- a love that is alien to earthly, to external, love. Do thou also, O Christian, begin to love, and implant deep within thine heart that humility which is divinely-pleasing; acquire also, through exerted labors lasting thine entire life, a purity of heart -- do this by [means of] fasting, prayer, meditation upon God, tears, and especially by a frequent and worthy communion of the holy Mysteries of Christ. Whatsoever ye do, do all with thought of Him, and for His sake. Wheresoever ye might be, be everywhere with Him, as He is always with us, being everywhere, and filling all things (Tropar' to the Holy Spirit)." Below are several amateur translations from a great new ascetic of our church. St. Sophia's quotes and teachings are remarkable for their brevity, power and meaning. Regarding dress in church, her words are very important and timely, as many of us have lost the great reverence and fear of God that our ancestors bore. Regarding prophecies of war and the retaking of Constantinople, of course such statements are not dogma (though they are in-line with those of other recent saints and elders; for a great approach to such prophecies, see here). Let St. Sophia's words be one more call for us all to repent and return to our Lord's embrace, before it is too late for us to do so. May you be well. May you have joy! Repent, my children...May you have prayer...day and night...wherever you walk, wherever you are found, wherever you are standing, always you should say: “My Christ, have mercy on me!” With a sweet tongue speak to God, that your prayer might reach Him. Be prudent...Not short sleeves, not short hair. Panagia [χωλιάσκεται]. Lord Jesus Christ, have mercy on Your world, and later, on us! Have fear of God...Have Love...Have compassion. 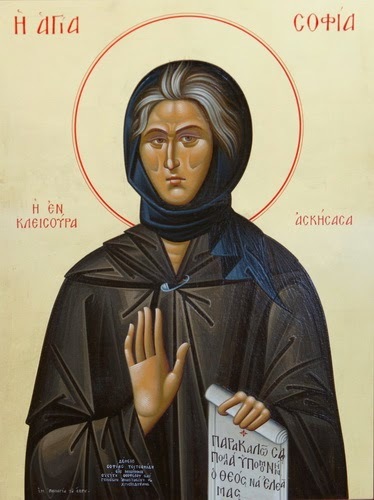 The Ascetic of Kleisoura said: My soul is burning for Christ! Did you see? Did you hear? Shut your mouth! “Be illumined, illumined, Jerusalem. For the light and glory of the Lord has arisen upon you.” Today the great-voiced mouth of the Prophet Isaiah imparts to the Church from the nations, the joyous good news. And truly, because this proceeds from a fiery tongue, which tasted the divinely hypostatic coal, which is radiant and grand, but at the same time, terrible and thundering, because this proceeds from the heavenly height of the Holy Spirit. For truly, such is the voice of the Prophet, as it hastens towards heaven, and encircles the earth. “Hearken,” he says, “O heaven, and give ear, O earth.” And when the Prophet begins his God-inspired sermon, he immediately relates the thunder of his word. However, he does not preach this alone, but shines with light that is surpassingly bright and shining, and calls towards the harbor of supplication all those who are sailing in the sea of the fast. I preach beforehand, the Prophet thunders forth, that the light of the Resurrection has come, to which you hasten to take rest in, and which you are running after anxiously. And from where is this seen? The glory of the Lord has shone upon the New Jerusalem. And the glory of the Lord, indisputably, is the Divine Cross, which, as the bright dawn, appears today, and shines forth with the first rays of the Sun of Righteousness. Truly, in this present feast we have the memory of light, and light that is unwaning, which enlightens all those who are found in the darkness of sloth. There, however, during the feast of the Resurrection, there is placed the great feast, and the feast of feasts. Let no one sulk from the foods of the fast, nor exchange the meekness of his face for the dark expression of gloom. Let us approach the dawn of the Precious Cross, and let us be enlightened, and our faces shall never be shamed. “Let the light of Your countenance shine upon us, O Lord.” Our faces will shine with the light the Sun, and then the darkly-appearing demons will flee far from us, not being able to approach our face. And I from my position, as the ranking one in this ecclesiastical gathering, and choirmaster of grace, I entreat you to bask richly in the divine light of the Cross, and I pray that the fuse of my tongue be lit, and that within me be kindled an unquenchable divine flame. But I infer and I sense that at the same time, the warmth of my faith is moved within me, that I might bear this holy fire. And behold! The fire and the wood of the Cross are found before my tongue, to be used as fuel in praise of today's feast. Where, therefore, is the lamb that we shall sacrifice today to the glory of God, in order to be offered, as a result, as food for all of you, the spiritual dinner guests? God will ordain this unslaughtered sacrifice and living seal, as he ordered towards joy of the soul for our benefit, fertile for my fruitless mind. It is He Who is able to raise from the stones true children of the Patriarch Abraham, as he once raised Isaac from the barren womb of Sarah. Note: I post this beautiful and moving amateur translation of a homily by St. Luke of Simferopol, for several reasons. First, that we might all come to our senses and repent while the Lord still calls us, especially during this "acceptable time" that is Great Lent. Second, that we might honor a great hierarch, confessor and wonderworker of Christ, whose Holy Relics where uncovered on March 17th. And finally, that we might also seek his intercessions to heal the pains, violence and divisions of the people of Ukraine. May St. Luke protect and defend those in all kinds of dangers, and may he grant all of us healing of our bodily or spiritual illnesses. For three months [February 1946], the Nuremberg trials have been going on, the terrible trial in which are being prosecuted crimes which the world has never seen, and rightly they should fear, for they know that what remains for them is to be condemned to death. Their final verdict is demanded by the conscience of all the people, of all mankind, for the world was struck by their abominable crimes! Never before were we astonished by such crimes, which cannot be related by the human mind. They have destroyed tens of millons of people—a countless multitude—besides those who were killed on the front. In the military base of Osventsim alone, 5,121,000 people were killed. The whole world is full of resentment, and awaits the hour when the judge will condemn them for their crimes... The conscience of men demands that they be condemned to death, the conscience of men demands that these terrible crimes not remain unpunished. But what shall we say of the righteousness of God? How does God meet this evil? And though this evil is so fearful and great, it is, however, one tear before the ocean of evil which the eye of God beholds, and which the All-wise mind of the Lord knows, for countless rivers of evil are drowning the human race from the beginning to the end. Since the world was created, before the eyes of God, countless crimes have been committed, and along with blasphemies and unseemly words. But human virtue also continues in this faithless and sinful world, trampled upon and cast out. Do you know how often criminals triumph and are full of joy, while at the same instant, good and pure men are destroyed? And always, in every age, the conscience of men is troubled by this occurrence, and all the people ask: “Until when, O Lord? When will righteousness triumph?” Because the heart of man does not accept injustice, it does not suffer for evil to go unpunished, and for virtue to not be honored. Is it possible for the whole world to be so senseless, so unbearably unjust, that evil might triumph till the end? This is impossible and will never occur, for above the world is the Just God, Who much more than us knows how much evil there is in the heart of men. God, however, is forbearing. God forbears and endures the disrespect of men for thousands of years now. He endures, for He awaits to gather, in a world full of disrespect and evil, the greatly-precious fruits of reverence and goodness. Because for the reason of these fruits alone did the love of God create the whole world, that the heart of the faithful might shine, and be purified by the light of Christ, that they might shine with the love of Christ, that the righteousness of God might be revealed. Do you know that, as there are evil-doers, there is a countless multitude of good and pure people, a great army of the Saints of God? They are worth the world, that among the hundreds of thousands of evil men, might shine the tens of millions of sons of God, sons of grace. Because of this the Lord endures. He endures that the sheaves of the garden of Christ might be numbered. When, however, the time comes, when the sheaves shall be numbered, then will begin the time of harvest. Then the Lord will send His angels to gather the sheaves, and the chaff they will cast into eternal fire. Then will come the hour of the Terrible Judgment of God, just and much more terrible than that which is occurring now for the men of Nuremberg. This judgment will be noted for the number of the indictees, for with the sound of the trumpet of the Archangel, with which the Second Coming of our Lord Jesus Christ will be proclaimed, all the dead will arise to stand before the Awesome Judgment Seat of God, inevitable judgment, a judgment which St. John the Theologian heard of, when he received the Revelation regarding what will occur at the end of the world. He saw at the Throne of God the Martyrs, who were martyred for the name of Christ. These cried towards God: “Until when, O Master...will you not judge and avenge our blood?” (Revelation 6:10). Now, tens of millions of men were killed by these crimes, not realizing that they would be thrown alive into ovens, men who were killed in aerial bombings, women, old people and children who were stabbed, all cry towards God: “Until when, O Lord, will you avenge our blood? How long will You be patient?” This terrible voice of men cries out so loudly towards God, for it appears, the hour of the Awesome Judgment is approaching. From this word of Christ, from this foretelling of what will occur at the Awesome Judgment, we can know with some certainty that this time is not far off. Likely mankind will be forced to experience a third world war, which likely will be the final one, and more terrible than all the previous wars! We all waited longingly, hoping that, after the victory against the criminal fascists, that there would be total peace and harmony between those peoples who, with their combined efforts, prevented the terrible slavery which was prepared for the whole world by the brutality of the fascists. This is what we were waiting for. But the more time passes, the more it is confirmed to us that peace and harmony does not exist, for in different countries and more commonly the enemy of our righteous people rises. The horizon is terribly obscured by the black clouds and the specter of the atomic bomb, which endangers the whole world. Our Lord Jesus Christ said: “when the Son of Man comes, will He find faith on earth? (Luke 18:8). Do you know how today, in all the countries and in all the people, how much faithlessness is strengthened and increased? Few remaining are those whom the Lord calls His little flock. Terrible is the time in which we life, terrible is the day of the coming Judgment, which we heard of in today's Gospel reading. I will not relate it again, for you heard all the basics. You heard why sinners will be condemned, whom the Lord further calls condemned ones. And you heard how the righteous will shine in the Kingdom of the Heavenly Father. Why? Only for love, for the work of almsgiving, for love is the essence of the law of Christ. Those whose hearts are full of love, those whose love is revealed in works of almsgiving towards his neighbor, they are those who have received the light of the Gospel within them. For them is prepared the Kingdom of the Heavens. They will hear from the Lord in the Awesome Judgment: “Come, O blessed of my Father, inherit the kingdom prepared for you from the foundation of the world.” (Matthew 25: 34). 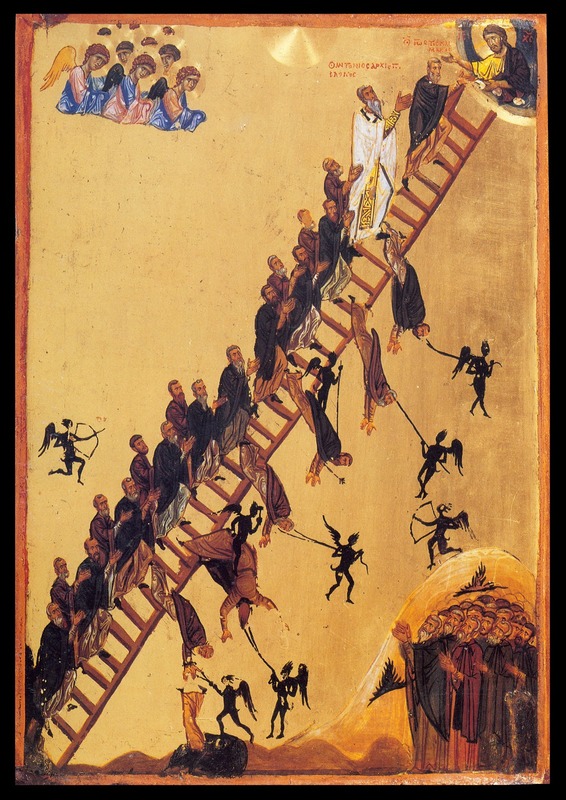 And they will enter the New Jerusalem, that Jerusalem which St. John the Theologian saw descending from heaven, and will enter into eternal life and blessedness. And those whom the Lord called condemned, will go into eternal fire, which was prepared for the devil and his servants. There are many men who do not accept the Awesome Judgment. They say: is it right for the man who did sins in this short life, afterwards to be tortured eternally? This question is posed by all those who do not accept the Gospel of Christ. What shall we respond to this? Will we say that there is likely some part of truth to this thought? Of course not. To whom is prepared eternal life? For the spirit of man, for that spirit which man received from God Himself, when He created Adam. Then God breathed into the body a living soul. All of us bear this spirit. Truly, it is this spirit which differentiates us from the dumb animals, which never were granted the higher gifts of the Divine Spirit. What happens therefore, during the life of man? There is a ceaseless, daily molding of our spirit. All our works, our senses, our words and thoughts leave an indelible seal on our souls, and mold it. Our spirit grows, changes, and is molded during the course of our life, affected by our deeds, senses and our thoughts. Within the spirit of man occurs something similar to that which occurs with a grape, which beneath the rays of the sun and with the morning dew, grows furthermore and is molded by life-giving power, which God granted to His living creations, and which shine with His beauty. He granted life to foster and receive the gifts of the sun and creation. And when it is grown, its death approaches. It is cut and thrown into a vat, trampled upon, and the grape gives up its blood, its juice, which then becomes wine. Though the grape was beautiful, though it is honored more than other things we gather, then through the wine which occurs through this grape, its life continues. Its peels rot like our body rots, and the wine is kept in barrels for many years. And the more time passes, the more precious the wine becomes. This, therefore, is the life of the grape, which resembles our earthly life, and the life of wine, which resembles the eternal and undying life of our spirit, when we will be freed from the bonds of this body, which after death occurs, dissolves like the peels of the grape. Do you know that there are some kinds of grapes that are not good? There is, in other words, a sour grape and its juice does not make good wine. This wine becomes sour, and with the passing of time, it becomes even worse. The same occurs with men. There are men who in their spirit, during the course of their life, is ceaselessly completed that which is good and true. Their good works make an indelible seal upon their human spirit, while their spirit becomes more and more perfect, pure and holy. This is the spirit of the righteous, those for whom the Kingdom of the Heavens has been prepared. There are those men, however, whose life is full of crimes and unspeakable sins. Their spirits they daily harm with poisons. And thus, without end, the spirit of these men is conformed according to evil. Our spirit, however, is immortal. Our spirit will live forever, and therefore, the direction which we make in this life—either towards good or towards evil--will remain the stable direction. The spirit of the righteous men who loved Christ, who loved the true good, will be ceaselessly perfected, approaching the perfection of God in continuous communion with Him in the land of Paradise. However, the spirit of sinners, which during the course of their life was drowned utterly and furthermore in evil, is condemned to continue into this eternal choice towards evil, is condemned to have continuous communion with satan himself, and in its incomparable evil, will approach him even more. This is the eternal torture of sinners. They will sense, in other words, how God has left them, how they are condemned, and they will choke among their evil and hate against God and goodness. Is God “responsible” for this? Did He condemn them to eternal torture? They themselves unfortunately condemned themselves, as they chose the way of evil alone. He left them free to ever follow this road. 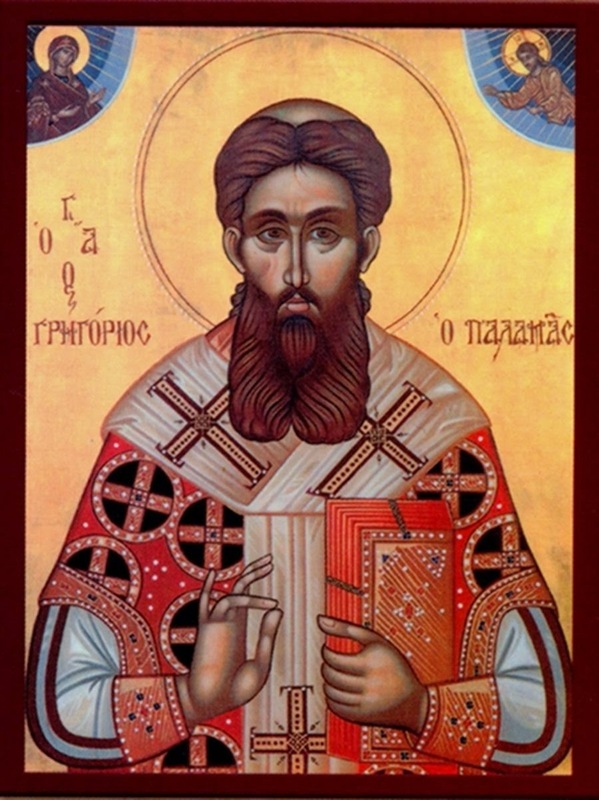 Saint Gregory Palamas, Archbishop of Thessalonica, was born in the year 1296 in Constantinople. St Gregory’s father became a prominent dignitiary at the court of Andronicus II Paleologos (1282-1328), but he soon died, and Andronicus himself took part in the raising and education of the fatherless boy. Endowed with fine abilities and great diligence, Gregory mastered all the subjects which then comprised the full course of medieval higher education. The emperor hoped that the youth would devote himself to government work. But Gregory, barely twenty years old, withdrew to Mount Athos in the year 1316 (other sources say 1318) and became a novice in the Vatopedi monastery under the guidance of the monastic Elder St Nicodemus of Vatopedi (July 11). There he was tonsured and began on the path of asceticism. 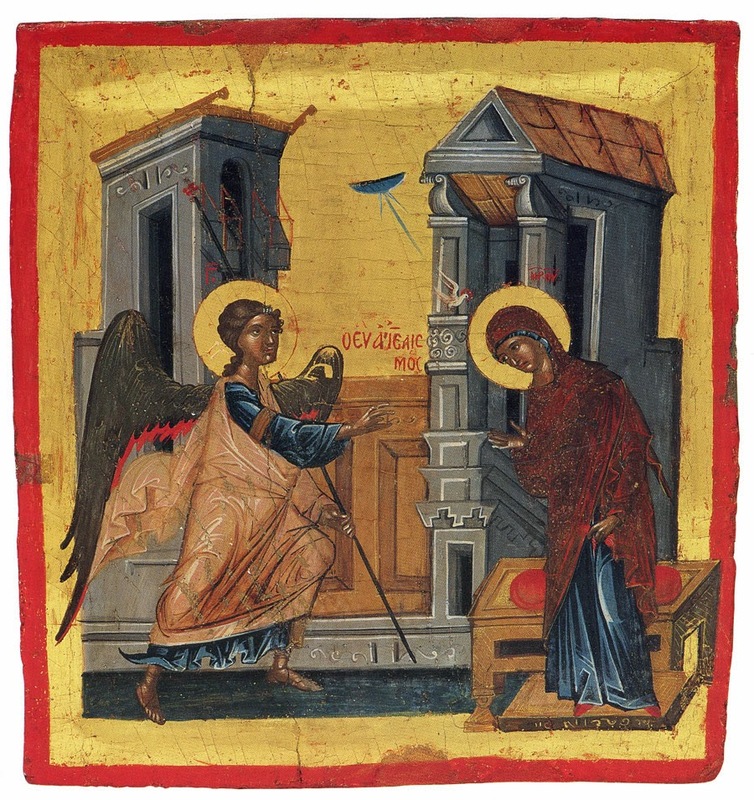 A year later, the holy Evangelist John the Theologian appeared to him in a vision and promised him his spiritual protection. Gregory’s mother and sisters also became monastics. After the demise of the Elder Nicodemus, St Gregory spent eight years of spiritual struggle under the guidance of the Elder Nicephorus, and after the latter’s death, Gregory transferred to the Lavra of St Athanasius (July 5). Here he served in the trapeza, and then became a church singer. But after three years, he resettled in the small skete of Glossia, striving for a greater degree of spiritual perfection. 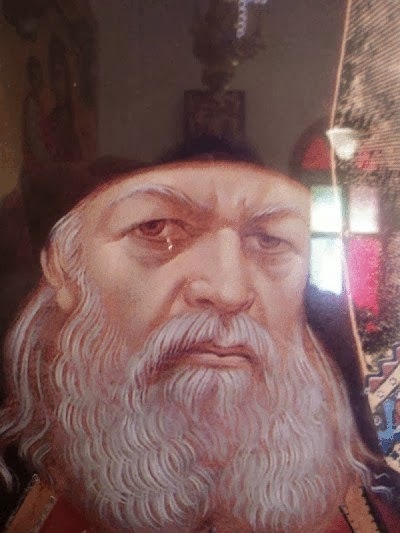 The head of this monastery began to teach the young man the method of unceasing prayer and mental activity, which had been cultivated by monastics, beginning with the great desert ascetics of the fourth century: Evagrius Pontikos and St Macarius of Egypt (January 19). During his stay at Glossia the future hierarch Gregory became fully embued with the spirit of hesychasm and adopted it as an essential part of his life. In the year 1326, because of the threat of Turkish invasions, he and the brethren retreated to Thessalonica, where he was then ordained to the holy priesthood. St Gregory combined his priestly duties with the life of a hermit. Five days of the week he spent in silence and prayer, and only on Saturday and Sunday did he come out to his people. He celebrated divine services and preached sermons. For those present in church, his teaching often evoked both tenderness and tears. Sometimes he visited theological gatherings of the city’s educated youth, headed by the future patriarch, Isidore. After he returned from a visit to Constantinople, he found a place suitable for solitary life near Thessalonica the region of Bereia. Soon he gathered here a small community of solitary monks and guided it for five years. In 1331 the saint withdrew to Mt. Athos and lived in solitude at the skete of St Sava, near the Lavra of St Athanasius. In 1333 he was appointed Igumen of the Esphigmenou monastery in the northern part of the Holy Mountain. 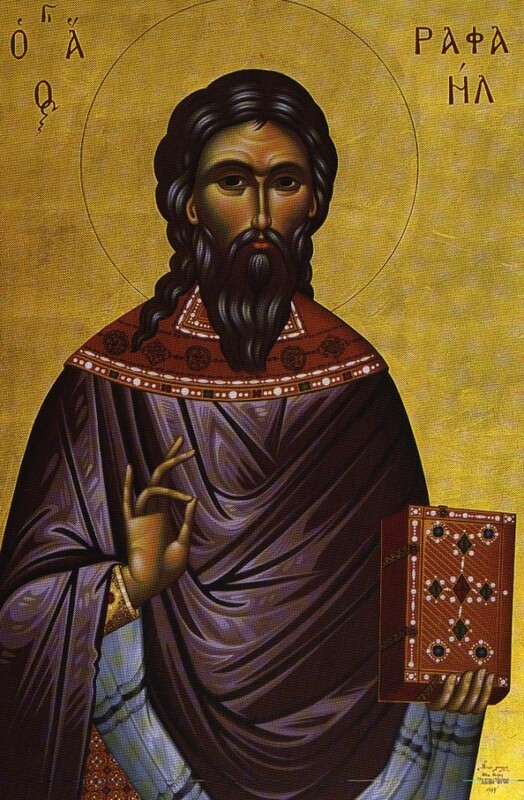 In 1336 the saint returned to the skete of St Sava, where he devoted himself to theological works, continuing with this until the end of his life. In the 1330s events took place in the life of the Eastern Church which put St Gregory among the most significant universal apologists of Orthodoxy, and brought him great renown as a teacher of hesychasm. About the year 1330 the learned monk Barlaam had arrived in Constantinople from Calabria, in Italy. He was the author of treatises on logic and astronomy, a skilled and sharp-witted orator, and he received a university chair in the capital city and began to expound on the works of St Dionysius the Areopagite (October 3), whose “apophatic” (“negative”, in contrast to “kataphatic” or “positive”) theology was acclaimed in equal measure in both the Eastern and the Western Churches. Soon Barlaam journeyed to Mt. Athos, where he became acquainted with the spiritual life of the hesychasts. Saying that it was impossible to know the essence of God, he declared mental prayer a heretical error. Journeying from Mount Athos to Thessalonica, and from there to Constantinople, and later again to Thessalonica, Barlaam entered into disputes with the monks and attempted to demonstrate the created, material nature of the light of Tabor (i.e. at the Transfiguration). He ridiculed the teachings of the monks about the methods of prayer and about the uncreated light seen by the hesychasts. St Gregory, at the request of the Athonite monks, replied with verbal admonitions at first. But seeing the futility of such efforts, he put his theological arguments in writing. Thus appeared the “Triads in Defense of the Holy Hesychasts” (1338). 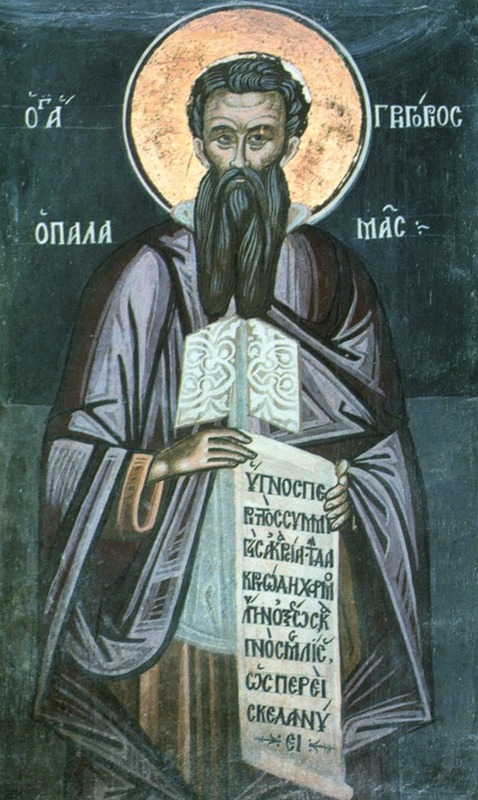 Towards the year 1340 the Athonite ascetics, with the assistance of the saint, compiled a general response to the attacks of Barlaam, the so-called “Hagiorite Tome.” At the Constantinople Council of 1341 in the church of Hagia Sophia St Gregory Palamas debated with Barlaam, focusing upon the nature of the light of Mount Tabor. 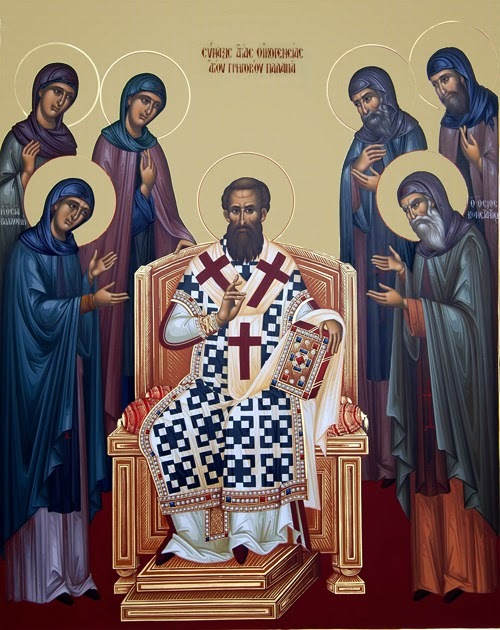 On May 27, 1341 the Council accepted the position of St Gregory Palamas, that God, unapproachable in His Essence, reveals Himself through His energies, which are directed towards the world and are able to be perceived, like the light of Tabor, but which are neither material nor created. The teachings of Barlaam were condemned as heresy, and he himself was anathemized and fled to Calabria. But the dispute between the Palamites and the Barlaamites was far from over. To these latter belonged Barlaam’s disciple, the Bulgarian monk Akyndinos, and also Patriarch John XIV Kalekos (1341-1347); the emperor Andronicus III Paleologos (1328-1341) was also inclined toward their opinion. Akyndinos, whose name means “one who inflicts no harm,” actually caused great harm by his heretical teaching. Akyndinos wrote a series of tracts in which he declared St Gregory and the Athonite monks guilty of causing church disorders. The saint, in turn, wrote a detailed refutation of Akyndinos’ errors. The patriarch supported Akyndinos and called St Gregory the cause of all disorders and disturbances in the Church (1344) and had him locked up in prison for four years. 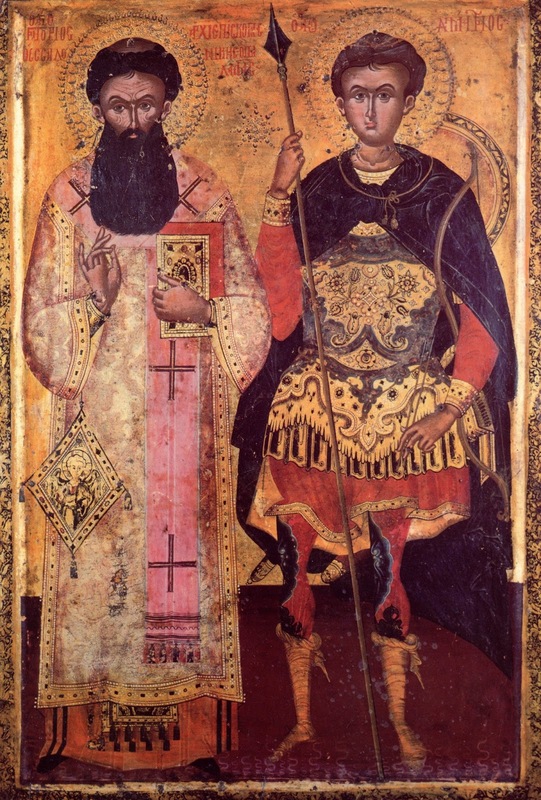 In 1347, when John the XIV was replaced on the patriarchal throne by Isidore (1347-1349), St Gregory Palamas was set free and was made Archbishop of Thessalonica. In 1351 the Council of Blachernae solemnly upheld the Orthodoxy of his teachings. But the people of Thessalonica did not immediately accept St Gregory, and he was compelled to live in various places. On one of his travels to Constantinople the Byzantine ship fell into the hands of the Turks. Even in captivity, St Gregory preached to Christian prisoners and even to his Moslem captors. The Hagarenes were astonished by the wisdom of his words. Some of the Moslems were unable to endure this, so they beat him and would have killed him if they had not expected to obtain a large ransom for him. A year later, St Gregory was ransomed and returned to Thessalonica. St Gregory performed many miracles in the three years before his death, healing those afflicted with illness. On the eve of his repose, St John Chrysostom appeared to him in a vision. With the words “To the heights! 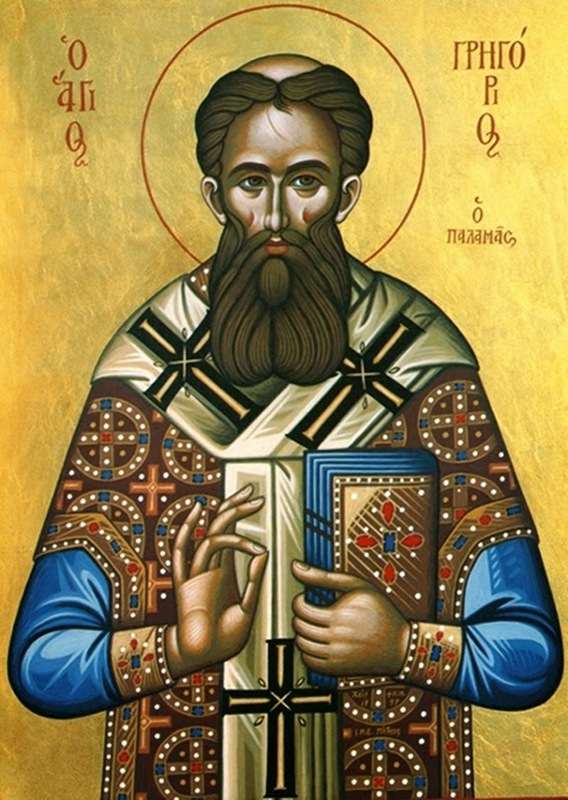 To the heights!” St Gregory Palamas fell asleep in the Lord on November 14, 1359. In 1368 he was canonized at a Constantinople Council under Patriarch Philotheus (1354-1355, 1364-1376), who compiled the Life and Services to the saint. 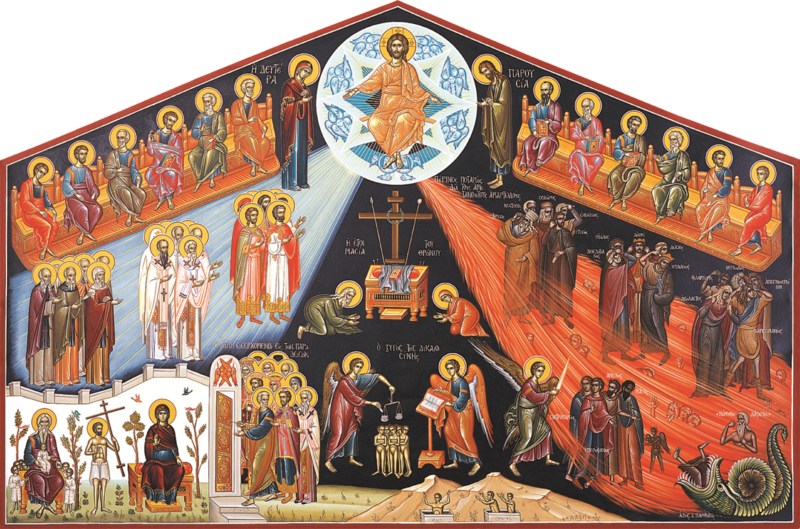 O light of Orthodoxy, teacher of the Church, its confirmation, / O ideal of monks and invincible champion of theologians, / O wonder-working Gregory, glory of Thessalonica and preacher of grace, / al-ways intercede before the Lord that our souls may be saved. St. Ephraim the Syrian: "I cannot Manage My own self; Grant me the spirit of repentance"
Before thy glory, O Christ my Savior, I will announce all my misconduct and confess the infinitude of Thy mercies,which thou pourest out upon me according to Thy kindness. From my mother's womb i began to grieve Thee,and utterly have I disregarded Thy Grace,for I have neglected my soul.Thou,O my Master,according to the multitude of Thy mercies,hast regarded all my wickedness with patience and kindness.Thy grace has lifted up my head,but daily it is brought low by my sins. Bad habits entangle me like snares,and I rejoice at being thus bound.I sink to the very depths of evil,and this delights me.Daily the enemy gives me new shackles,for he sees how this variety of bonds pleases me. The Fact that I am bound by my own desires should provoke weeping and lamentation,shame and disgrace.and yet more terrible is the fact that I bind myself with the shackles that the enemy places upon me,and I slay myself with the passions that give him pleasure. Although I know how dreadful these shackles are,I hide them behind a noble appearance from all who might see.I appear to be robed in the beautiful clothes of reverence,but my soul is entangled with shameless thoughts.Before all who might see,I am reverent,but inside I am filled with all manner of indecency. My conscience accuses me of all this,and i act as if I wish to be freed of my shackles.Everyday I worry and sigh over this,yet I ever remain bound by the same snares. How pitiful am I;and how pitiful is my daily repentance,for it has no firm foundation.Everyday I lay a foundation for the building,and again with my own hands I demolish it. My repentance has not even made a good beginning as yet;yet there is no end to my wicked negligence.I have become a slave to passions and to the evil will of the enemy who destroys me. Who will give the water to my head,and the founts to my eyes for tears,so that I may ever weep before Thee,O merciful God,that Thou mightest send Thy grace and draw me,a sinner,out of the sea,furious with the waves of sin,that hourly convulses my soul?For my desires are worst than wounds that cannot be bandaged. I wait hoping for repentance and deceive myself with this vain promise until my death.Ever do I say,"I will repent," but never do I repent.My words give the appearance of heartfelt repentance,but in deed I am always far from repentance. What will happen to me in the day of the trial,when God unveils all things at His court! Certainly I shall be sentenced to torment,if here I have not moved Thee to mercy,O my Judge,by my tears. I hope on Thy mercies,O Lord;I fall at Thy feet and beseech Thee:Grant me the spirit of repentance and lead my soul out of the dungeon of iniquity!May a ray of light shine in my mind before I go to the terrible judgement which awaits me,where there is no opportunity to repent of one's wicked deeds. Source: "A SPIRITUAL PSALTER" BY SAINT EPHRAIM THE SYRIAN. The greatest benefit which God has granted our fallen nature is none other than repentance. Without it no man would ever secure his salvation no matter how perfect God’s plan to save the world is. Because man’s “every inclination of his heart is evil from childhood”( Genesis 9:21). Given that our inclination towards sin is therefore natural, no one is able to remain without sin, “even if his life is only one day”. Repentance is dual in essence and both of its forms are beneficial to our lives. Its initial stage takes the form of regret for our past sins, followed by the rectification of the wrong deed which brought about the sin. According to the spiritual judgement of our Fathers, the whole human activity originates in the mind. This is where every thought is captured as an image and it is gradually being acted out. This is what our most discreet of our fathers, Saint Maximos the Confessor says: “Do not misuse the thoughts, so that you do not abuse things with your actions out of necessity. Because, if one does not sin in his thoughts he will never sin with deeds”. «Μὴ παραχρῶ τοῖς νοήμασιν, ἵνα μὴ ἐξ ἀνάγκης καὶ τοῖς πράγμασι παραχρήσῃ. Ἐὰν γὰρ μή τις πρῶτον κατὰ διάνοιαν ἁμαρτάνῃ, οὐκ ἂν ἁμάρτῃ ποτὲ κατ᾿ ἐνέργειαν»(( Μαξίμου Ὁμολογητοῦ, Τετρακόσια Κεφάλαια περὶ ἀγάπης,Ἑκατοντὰς Β΄, §78.)).. ( Saint Maximos The Confessor, Four Hundred Chapters on Love, Second Hundred, paragraph 78) When one misuses the thoughts, the abuse of things will follow. Repentance means: literally recalling the mind to its former position, whereby things are properly ranked. In our generation however, repentance takes more the form of begging God for forgiveness. When one describes our sinful nature, using humble words, one truly expresses the pitiful and miserable state to which we have been drawn into because of the perversion of the law of sin. Therefore as Paul says: we constitute a hideous “body of death”( Romans 7:24) since we are “wretched because of the law of sin at work within our members” ( Romans 7:24). This is as far as we are concerned. However, “ Praise be to the God and Father of our Lord Jesus Christ, who has blessed us in the heavenly realms with every spiritual blessing in Christ. For he chose us in him before the creation of the world to be holy and blameless in his sight. In love he predestined us to be adopted as his sons through Jesus Christ, in accordance with his pleasure and will- to the praise of his glorious grace, which he has freely given us in the One he loves”. We brag about this selection and we experience our Father as “ He who lives in unapproachable light” ( A Timothy 6:16). However, this secret mystery remains with us untouched, not just when we find ourselves in a state of contemplation but even when we are inundated with its proximity. Is it not, however, our initial value as created beings in “ his image and likeness” another mystery? We must therefore, quickly endeavor to increase our thirst and dwell deeper and deeper unto Himself through our struggle and into the magnificence of our predestination since the beginning of time. Our fathers, next to whom we have studied and whose mouths we have heard speaking the truth, have described as much as possible and as much as we could grasp, the depth, the breadth and the stature of comprehensive repentance. From all these explanations we cite just a few. Repentance, or rather the person who repents, begins with asking God to forgive him his trespasses. As long as he does not repeat the deeds for which he repents, he reaches unto “Third heaven” through the grace of Christ and the meticulous application of the rules of repentance. There, he hears and learns unutterable and unfathonable expressions and contemplations, which he cannot speak of or explain to those who are not familiar with this grace. “Whether it was in the body or our of the body I do not know”. ( B Corinthians 12,2) This state of affairs belongs not just to Paul but to anyone who ardently repents.The crashed and humiliated spirit of man, which thirsts for the wholesome love of Christ, is captured by Him and is lifted up to where the Lord takes him without being able to comprehend where, how and how much is the measure of this. As our unforgettable elder used to say, the human senses are not functioning during this state, neither is the mind thinking but it is just admiring. Only when it returns to its normal state can it express, or vaguely describe if at all, that which it has experienced. Paul was writing to the Corinthians that he was “caught up to paradise and heard inexpressible things which man is not permitted to tell” ( B Corinthians12, 4) Because “No eye has seen, no ear has heard, no mind has conceived what God has prepared for those who love him” ( A Corinthians: 2,9). We only partly conceive and partly comprehend what is beyond the physical world. Our Fathers tell us that recognizing one’s corrupt nature is a great gift of God, even greater than the contemplation of deep theories. When we recognize the internal darkness and when the infernal and dreadful nature of sin is being revealed to us, provoking our repugnance, then the divine grace perceptively grants us its own consolation. Saint Isaac refers to various types of consolation and perception of the divine grace, especially at times when one has to endure long lasting trials. «When I stand in prayer, I can only utter one praise. From there on, even if I stand up in prayer for three days, I remain in awe of God and I have no sense of the effort required”. ( Saint Isaac, Third Ascetic Treatise “ On the departure”) And he goes on to say: “I stood outside in the yard of my cell, in bright sunlight. As soon as I started to utter one praise, I was conscious of my spiritual task, but nevertheless, I was captured, without realizing where I was. I remained captivated in this state all night until the next day when the sun burnt my face again. Then I came to my senses and I immediately realized that it was the next day”. Let no one ever think that those were achievements of the early Fathers. Since the Lord “who is the same yesterday, and today, and forever” will grant His grace today to those who are willing to begin the struggle. The divine grace which appears because of repentance, tosses the soul towards God, whose light attracts it. In the beginning, this is not so obvious, but His warmth, which is love, begins to soften the heart. Then surprisingly, a dispute shows up. On the one hand, one is consumed with fear, or rather horror, realizing his own awful guilt. On the other hand, he is swamped with the grace of the presence of God with which he has not been familiar so far. The division of fear is excessive, since the presence of grace opens up one’s eyes and he consciously experiences his own filthiness. The perceived presence of the grace consoles him but he cannot contain his tears, which indicate his honest repentance and his return from the “far away land” where he had spent his “father’s possessions”. Several times the intensity of the horror of the personal sin becomes so strong that hatred against oneself is aroused as well as positive revulsion towards the passions which cause his separation from the beloved God. “If anyone comes to me and does not hate… even his own life, he cannot be my disciple” ( Luke 14, 26). This real intensity of loathing, which is caused by “ the experience of God”, increases the fervor of prayer and becomes like flame. Then, the soul conceives the darkness of death as well as the hope to our Saviour Christ. Such conditions do not come about through human effort but are the results of the philanthropy of the heavenly goodness. I recall how our blessed Elder Joseph was describing this kind of prayer. He had a peaceful look and was expressing, to the extend which we could comprehend, the tranquility of his thoughts. After this meeting, because it is indeed a divine meeting, a wonderful peace descends on the soul and the perception of the full presence of God reigns in everything. Humility is the greatest benefit derived from the onslaught of temptations. The awful beast of pride is crashed and divine knowledge approaches the mind. It is not inappropriate to metaphorically describe the idol of egocentrism as “the abonination that causes desolation which stands in the holy place” ( Mathew 24:15) Nothing is more effective to steer the mind towards humility than the various hardships which befall man, whether willingly or unwillingly. The weakness to free himself by his own efforts, teaches him practically how worthless and vile one is. Then the Lord’s saying : “without me you can do nothing” ( John 25, 5) becomes absolutely true and thus the mind is shifted to the true world of the kingdom of heaven through the divine grace. The second point regarding the usefulness of trials is the deeper knowledge of the unknowable designs (κρίματα) of God’s providence which govern the universe. Various events, usually painful and intensive, are the proper therapeutic tools through which τηε divine goodness maintains the equilibrium of our rebellious, fallen nature. The Holy Spirit as an educator conveys through Its descend the pain of mankind inside the souls of the devout, since these souls are communicating with the uncreated divine grace, which comprehensively embraces the entire pain of mankind. Let us just stress that we are explaining the meaning of the cross, about which Paul was boasting. He was only relying on the cross for his spiritual existence; he was believing in it, was hoping in it and was boasting about. All those who have “crucified their sinful nature with its passions and desires”( Galatians 5, 24) have followed in his footsteps. The reason for God’s emptying of himself was to tackle the wrongful preference towards hedonism- whence came the fall- with its antidote: love for hard work. The Word God emptying himself just once because of His all consuming love for us, renders unnecessary all comment and questions. Peter, the best of the disciples, emphasizes that “since Christ suffered in his body, arm yourselves also with the same attitude” ( A Peter 4,1). This begs the question: Is any logical being’s foremost duty to love God totally as Divine and therefore, as his Lord and Creator? This God becomes a reformer and a re-generator and raises the fallen higher than his first position and value and not just higher but “far above all rule and authority, power and dominion and every title that can be given” ( Ephesians 1,20). Is n’t He worthy of our honour and respect? Our sweetest Jesus, our Lord, by becoming dual in His nature because of the enormity of His self sacrifice, has taken away any pretext that we may have about the so-called freedom of choice or of any other alternative. We have now become spoils of His love. 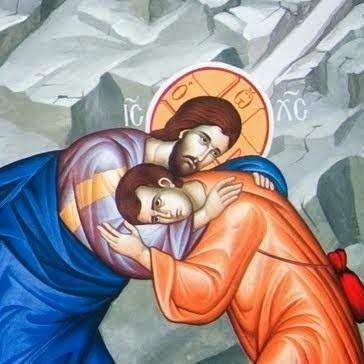 We ought to love him absolutely ( κατά πάντα) since “ he loved us first”( A John 4,19). If therefore, we recognize none other than our one and only crucified Lord Jesus Christ, is n’t it our absolute duty to practice our love for hard work( φιλοπονία- philoponia)? This is the reason why all those who belong to Christ, during the three major periods of the life of the Church, have been crucifying themselves because they “want to know Christ and the power of his resurrection and the fellowship of sharing in his sufferings, becoming like Him in his death and so, somehow, to attain to the resurrection from the dead” ( Philippians 3:10-11). It is for this reason that we have been constantly underlying the need to bear one’s cross and practice the comprehesive love for hard work. The Triadic essence of the divine Being rests at the centre of the knowledge of God. “The Father, the Word Son and the Holy Spirit, are one”( A john 5:7) and each one testifies for the other. This testimony extends towards our own nature. The Lord has entrusted His disciples with the task of bearing witness about Himself. “When the Cousellor comes, whom I will send to you from the Father, the Spirit of the truth who goes out from the Father, he will testify about me; but you must also testify, for you have been with me from the beginning” ( John 15, 26-26) The relationships between people as persons are of the same kind. The testimony, as true life, is forever spinning inside love and creates communion. A person, by nature, cannot live isolated but behaves lovingly towards other fellow human beings and through the virtue of solidarity responds to the others and testifies for them. It is for this reason that our Creator has said that “It is not good for the man to be alone” ( Gen 2,18). The more we adhere to divine precepts through faith and obedience, the more the divine illumination is amplified inside us. True repentance, with all its components, but especially through deep prayer, leads us towards communion and assosiation with the uncreated divine grace, which explains the form of the divine reality. Why is it suprising that we find in Him the comprehension of ourselves through His grace, since we have been initially created in His image and likeness? It is this comprehension which reforms our existence in accordance with the divine attributes, since to all those who “received him, he gave the right to become children of God” ( John 1,12). Is there anything more natural than children exhibiting their father’s character? By ‘character’ I mean the most crucial of the divine attributes, that of love, which is immediately manifested inside the soul of the person who has received the divine illumination. It is through love that the faithful communicates with his fellow human beings and completes his testimony. Here is a testimony of our fathers who “did not fail to confess, but confessed freely”( John 1,20 )about the truth and the divine promises and about the entire divine revelation. They did not hide from their children nor their brothers, that which they have heard and seen, so that their testimony represents unambiguous evidence and becomes our whole expectation. Source: Translated by Olga Konari Kokkinou from the Greek edition: Γέροντος Ιωσήφ Βατοπαιδινού, Αθωνική Μαρτυρία, Ψυχοφελή Βατοπαιδινά 2, Έκδοσις β΄, Ιερά Μεγίστη Μονή Βατοπαιδίου, Άγιον Όρος 2008. Taken from here, see for the full quote.